- Capacity: OD 3" to 36"
Flexocon Pin bush type flexible Couplings are of the cushioned drive type, transmitting the torque, through high Tensile bolts to the machine input shafts. Special Rubber Compounds are used in bushes so that it can absorb slight misalignments, tensional vibration and shock loads. The flanges are made of high grade cast iron. Perfectly fabricated Pin Bush Coupling is the specialty of our product array. This Pin Bush Coupling is sturdily constructed by following industrial quality norms. 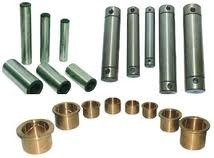 Also, our Pin Bush Coupling is known for its king service life that satisfies the customers completely. 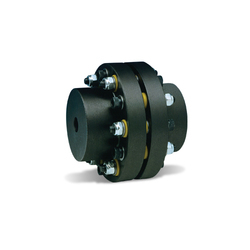 These type of couplings are offered in the industry’s largest variety of stock bore/keyway combinations. ROMA make ROMAFLEX pin bush type flexible couplings provide reliable means of mechanical power transmission giving a positive and cushioned drive protecting against unavoidable misalignment and help in reducing wear and tear of the connecting parts.